Toyota is offering six month of free fuel to anyone buying a brand new Yaris. 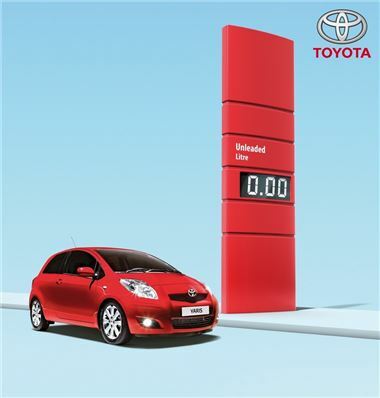 It applies to any new Yaris* ordered between 1 and 30 April and registered before 30 June and is worth more than £500 at the pumps. That’s enough to cover around 5,000 miles at the wheel of the 1.0-litre VVT-i petrol model, which returns an official 55.4mpg combined cycle fuel economy. Buyers will receive a personal, pre-paid card – like a gift card – to the value of £548.15**, which can be used with a PIN to pay for fuel at any UK retailer. Once all the money has been spent, the card can simply be discarded. “With the highest petrol and diesel prices we’ve seen for years, it’s the perfect time for Toyota to take the initiative and give our customers a benefit that’s of real value day-to-day,” said Commercial Director, Matt Harrison. * This offer does not apply to Motability vehicles and certain fleet purchases. ** This figure is calculated on a fuel price of £1.336 per litre, 55.4mpg combined cycle economy and 1,000 miles driven per month.